Quick! Who's that handsome devil pictured to the left? Believe it or not, that's Nick Lowe, the talented British singer, guitarist, songwriter and producer who burst on the scene in the late 1970s with such clever and catchy songs as "What's So Funny (About Peace Love and Understanding)," which became a hit for Elvis Costello; "Cruel to Be Kind," which made it to #12 on Billboard's Hot 100 in the Summer of 1979; "I Love the Sound of Breaking Glass"; "So It Goes," and, one of my favorites, "Switchboard Susan," which I played to death in my college radio days. Unfortunately, Lowe seemed to disappear almost as quickly as he arrived, and while he's released a steady stream of well-reviewed records over the past three decades, he's never again enjoyed the same level of popularity as he did when he first helped bring new wave and power pop to the States way back in the Jimmy Carter era. Fast forward 30+ years to 2013, and to our collective good fortune, Lowe's just released a new holiday album called Quality Street (A Seasonal Selection for All the Family) on Yep Roc Records. It's a rich mix of well-crafted pop tunes -- some familiar, others original. From the Memphis rave-up sound of "Children, Go Where I Send Thee" to the deliciously sentimental Roger Miller classic "Old Toy Trains," Quality Street has a little something for everyone. Well, no –strike that, for as Lowe himself emphasizes, this one's a "sleigh-bell free zone," meaning you won't find any of your typical saccharin-laced holiday fare here. 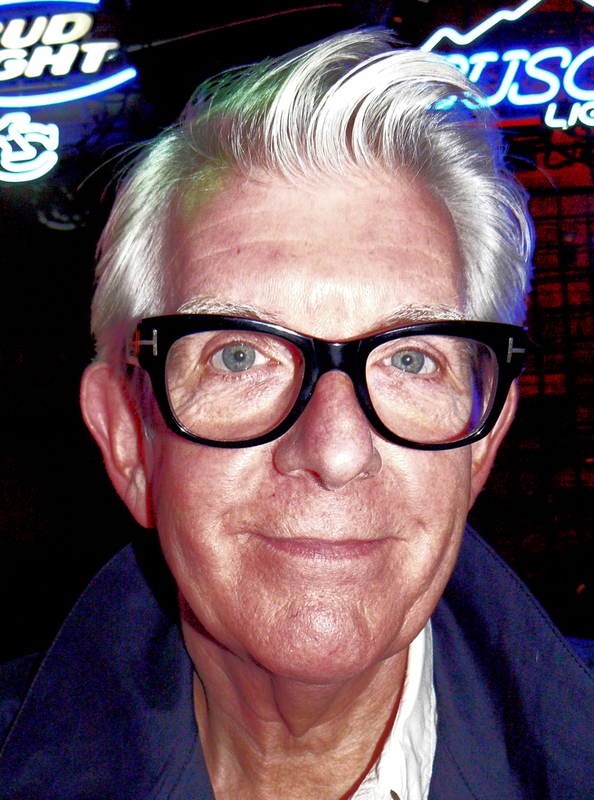 But whether you think of Nick Lowe as the cutting edge artist who makes pure pop for now people or some old fool from your grandfather's distant past, you'll undoubtedly find something wonderful among this seasonal selection. Here are two versions of an especially moving song from Lou Reed's 1989 album New York called "Halloween Parade." It's about the festivities held in New York's Greenwich Village each Halloween, which regularly attract a large contingent of gay revelers, among others. Written at a time when gay men were falling ill to HIV at an unbearable pace, the song is an homage to some of the regular parade participants Reed knew from previous years who, although unable to attend the parade, are nonetheless not forgotten. 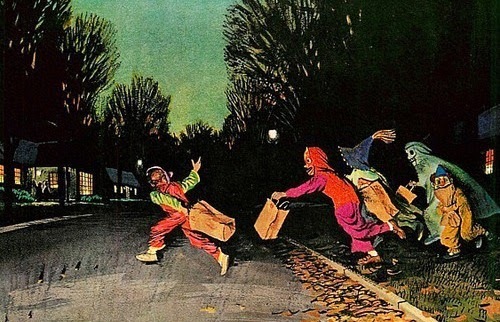 Finally, here's a Halloween music playlist posted recently by Roger Wilkerson, who bills himself as "The Suburban Legend." His tumblr blog offers a most amazing blend of pictures, music and ephemera from the 1950s and '60s, and he adds delightful new stuff pretty much every day. Roger's Halloween mix is posted on PodOmatic, a service I'm not familiar with that claims to feature "millions of free mixes from the planet's best independent podcasters." If Roger's posting his stuff there, that's good enough for me! But you can listen to his mix from this very site by pressing PLAY on the app that appears below. (Thanks, Roger!) Enjoy yourselves tomorrow, and please don't eat all of your children's candy. New York is one of my favorite Lou Reed albums. Released in 1989, it paints a gritty and lifelike picture of our nation's biggest city just before the economic boom of the 1990s and Manhattan's subsequent Disneyfication. Reed's not shy about naming names in this one. The album effectively fingers a sizable group of co-conspirators whom Reed considers responsible for some of his city's ills. The song "Xmas in February" is a little different, however. It simply tells the bleak and bitter story of Sam, a short-order cook who returns home after being seriously injured in Vietnam only to lose nearly everything else in quick succession. It's an unrelentingly grim story that really doesn't have a whole lot to do with Christmas as such, but then again Reed never was much for touching reality up to make it look prettier. You can hear the song HERE, but Reed himself advised listeners to experience the entire record from start to finish, like a movie or a play, and that really does give you a richer picture. Try this link for that, or, better yet, buy the CD. Ooohhh mama, all through the night. Not too much holiday spirit there, but the song itself is another piece of Lou Reed's reality. We've lost a great deal with him no longer sharing ours. He'll truly be missed. With Halloween a mere three days away and a most exciting World Series more than half-way through, it's obvious even to me that another Christmas is on the horizon. Greetings from Los Angeles, and here's hoping you've had a wonderful year since we last touched base on January 3. That little nip in the air is our signal that it's time to put out the welcome map and get ready for the 2013 holiday season. My plan for this year is similar to the one we've used in previous years. 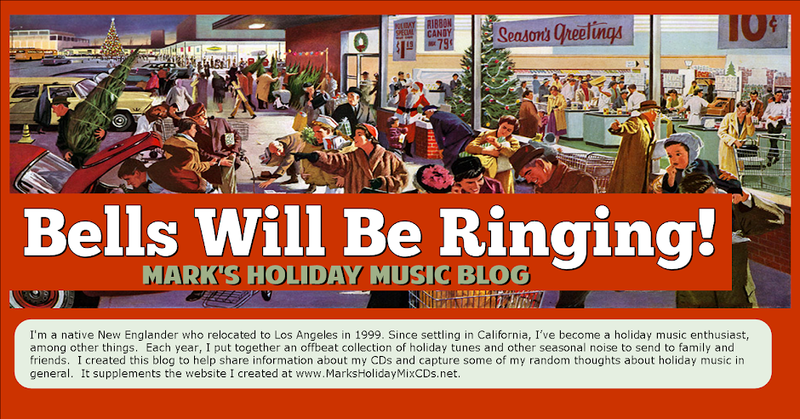 I'll post some occasional thoughts between now and Thanksgiving Day, which is when I plan to post this year's holiday mix on my holiday music website at www.MarksHolidayMixCDs.net. From that day on, I'll use this blog to share some background, history and general thoughts about each of the individual tracks on my latest mix. I could start earlier, I suppose, because this year's mix is already done (my hand to God) – but let that be our little secret. If that news were to ever get around, it could destroy that carefully crafted image I've cultivated as a disorganized slacker, and there's no percentage in doing that. In fact, not only is my annual mix complete, but I've got another special bonus mix finished, too, which I'm planning to share sometime within the next week or two. Details to follow here. So, Happy Halloween to one and all. I'm looking forward to spending some time together over the upcoming holiday season!